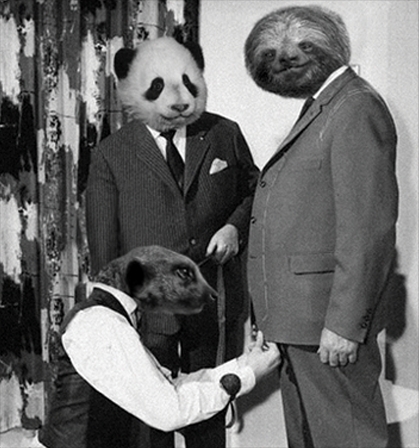 In 2006, two renegade designers sought sage council from a wise Panda. At GatsbyMenswear we are proud to be the only store in the Home Counties to stock the excellent Dirty Velvet range. Dirty Velvet is a design collective focused on producing high quality clothing with designs that offer a creatively different perspective to the mainstream. They aim to create T-shirts with original graphics, combining strong and thought provoking imagery reflecting their slightly twisted view of the world. At Dirty Velvet they produce long lasting ethical clothing, made with minimal impact to the environment. All produced in Turkey, using 100% organic cotton - grown without the use of pesticides, herbicides or chemical fertilizers using methods that are ecologically and socially sustainable.